OK! So, as the Morette headlight assembly is finally on it's way again, I am beginning to conjure up my goals. 1. 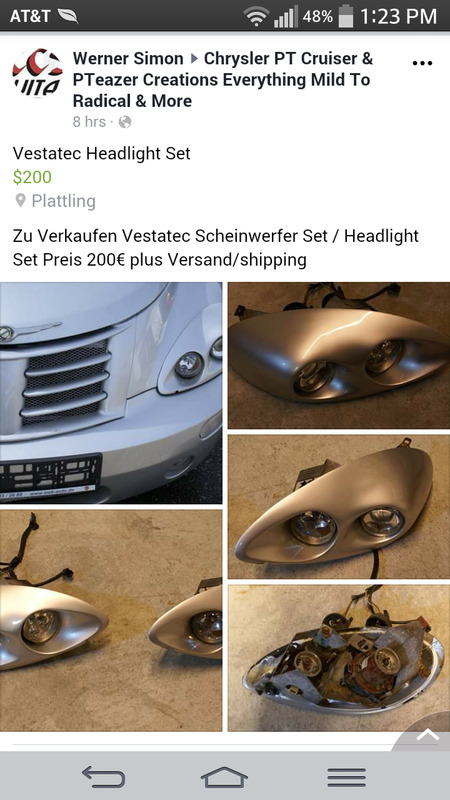 I do not know the exact dimensions of the headlight and turn signal holes. So, ordering them will wait until the assemblies arrive. But, I have already saved MANY links to headlights and turn signal lights. b. To have a sealed beam Halo headlights for Low Beam; and Halogen Projectors for High Beam. If I can, I would like to incorporate the side marker/turn signal into the side of the Morette assembly. I am having a little trouble finding something that is both small enough, and aesthetically compatible for the profile of the Morette assembly. There are lots of 3/4 inch and 2 inch round lights. And there some nice larger 3 inch+ smoked side markers that I could mount behind the front wheel. But, here is my favorite so far - 2 inches wide, and could be incorporated into the side of the assembly. I am also researching an amber front side reflector. This will likely be a curved one, mounted at the trailing edge of the front wheels on the fender, like all the new MOPARs have. I would grind the reflector/light flat enough to simply mount with 3M mounting tape. As, I do not want to cut extra holes in my body! wwpptc, podo2000, rockandroller and 3 others like this. Saw this on one of the Facebook groups. rockandroller and Handy_Cruiser like this. Last edited by texas2002cruiser; 14 Apr 2019 at 01:31 pm. I missed your post this afternoon, and by the time I saw the seller's post, it was 6 hours and the assemblies were sold!